You can pre-order it at Smashwords already, and also available to pre-order as a NOOK Book at B&N, and iTunes where it is on special offer. The standard price is $4.99, but there's a half-price offer on Smashwords until 8th September, using code LV58Q. The romance of pre-war air travel meets the romance of a man and a woman kept apart by war in this memoir of a young man and his career in Africa with Imperial Airways. 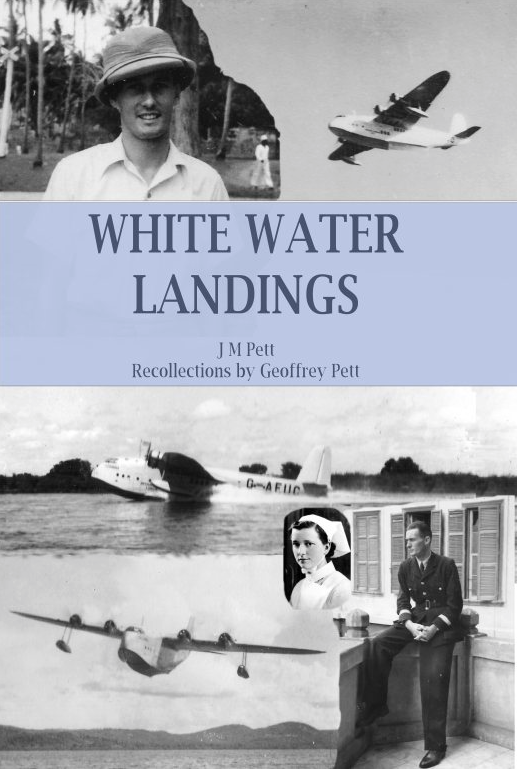 White Water Landings - views of the Imperial Airways Africa service from the ground - covers intriguing details of the Empire Flying Boat service - from the commissioning of the plane Centaurus to the indiscretions of the passengers, from the dangers of a herd of buffalo at night to the bravery of exiles waiting for transfer via Khartoum and Lagos up to London. Also available for kindle, in paperback and as a hardcover book. I can recommend this one!